Creating technological tools to facilitate access to sport for refugees, the subject may seem niche but it is full of potential. 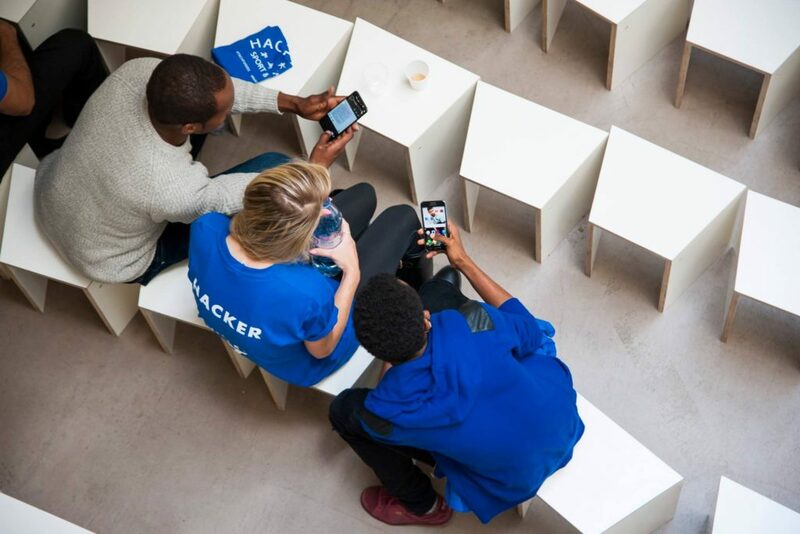 Techfugees and Paris 2024 teamed up for a weekend (1–2 July) to organize a first hackathon on the theme of sport and refugees, with three main challenges for the teams: access to sports, social and professional integration through sport and creation of social ties. Sport may appear to be a paltry need compared to other issues refugees may face like access to food or shelter. However, when talking to displaced communities and associations, we realised that sport is an important element that allows displaced people not only to stay fit, but also to have fun, make friends, learn the culture and integrate. We also know that refugees are limited in their sports practice by the language barrier, modest means, difficulty in obtaining information and frequent mobility. What if sport and the Olympic and Paralympic Games were a factor of inclusion for displaced people? 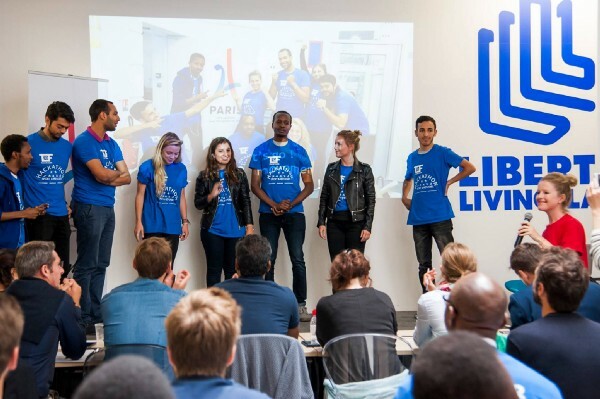 This is what motivated fifty people, among which refugees, French and internationals, to team up and participate in the hackathon organised by Techfugees France with the support of Paris 2024 last weekend in Paris based civic tech incubator Liberté Living-Lab. “For Paris 2024, the Olympic and Paralympic Games are more than just a sports competition, they are an opportunity to build a more inclusive and supportive society through sport,” explains Marie Barsacq, Impact & Heritage Director of Paris 2024. 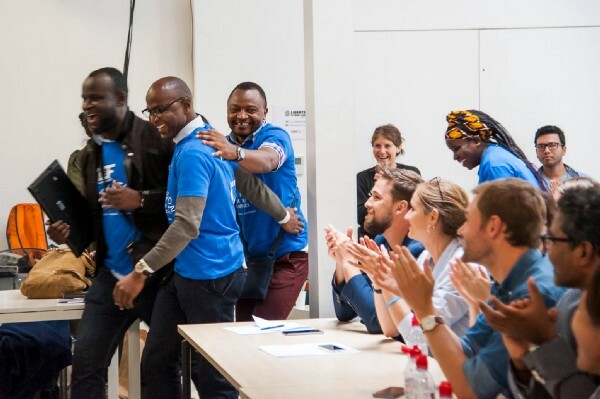 For 48 hours, the participants pitched ideas, coded platforms, created graphic identities, went out to test their ideas on the ground in Paris, developed business plans and finally presented their projects before a Jury. The teams benefited from the support of great mentors from Paris 2024, Liberté Living-Lab, Singa, YBorder, Aurore, RefuHelp, Emmaüs, UNHCR, Action Emploi Réfugiés, France Cricket, French Federation of Baseball and Softball, French Wrestling Federation (FFL), Simplon, Techfugees global, Konexio, Five By Five, Mapstr, Webacadémie and Weanswer. If this seems like yet another hackathon to you, think again: the event took place at the intersection of associations/NGO’s, refugees, the tech world and sports. It was led by people from some twenty different nationalities from all kinds of backgrounds, making the whole experience really special. Andres arrived straight from Mexico and told us he had changed his plane ticket to make it to the hackathon launch on the Friday. He came back the following day with his two sisters to develop his idea over the weekend (a ticketing solution for refugees to be able to benefit from cancelled sport tickets). A Syrian teenager who had come to visit his brother Nour for an hour or two, eventually helped the teams all weekend. A startup CTO who came to see the pitches on Friday out of curiosity and was inspired by the motivation of the team “Le Rendez-vous des Champions” (meeting of the champions), came back the next day, spending the entire WE teaching them to code so that two members of the team could learn to develop their website on their own. Of the 15 ideas presented, five were presented to the jurors on the Sunday and two were rewarded. Kabubu won six months Social Business Lab incubation at INCO, the world’s first incubator for reconversion of athletes with a high impact project. Kabubu, (which means friendship through sport in Swahili), is an app that allows licensed people to integrate refugees into their teams through a “buddy” system. The project was presented by four young professionals who met at MakeSense. Thanks to the arrival of four new members all of which refugees, the team was able to improve and develop its project. 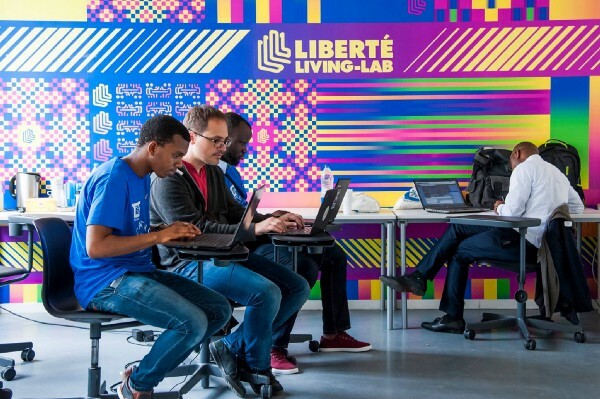 Le Rendez-vous des champions won six months of incubation at Liberté Living-Lab. This project is carried out by an omnisport association which identifies and guides refugees wishing to resume competitive sport, recreational sports or get back into shape after years of harsh health. Also: Techfugees France Website page – Techfugees France on Medium and Techfugees France on Facebook.